Some kids put flowers in their hair; I studied and ate them. On any given day, it was more likely you would find me in a book, up a tree, or studying some plant in the sidewalk crack than anywhere else. Some of my favorite childhood memories are of walking in woods and fields near home and wandering my grandparents’ 80 acres on the western edge of the Texas Hill Country. When other kids were ordering corn dogs in the cafeteria, I was asking for more broccoli. At the age of 18, I became a vegetarian, much to the chagrin of my tenth-generation Texan family (who were certain I’d soon perish). I began college as a Nutrition major, but later was called away by my other lifelong love; that of music and those who live and create it. I’ve been blessed to be immersed in and surrounded by the creative community since I first began working the door and selling merch for friends’ bands in high school. In retrospect, several of my earliest childhood friends grew up to be musicians, producers, poets, and artisans… though none of us could have predicted it at the time. I’ve worn many hats since the days working the door for metal and punk shows at the Ritz in Austin, Texas: record store kid, radio station intern, Artist Development, Field A&R, Marketing Manager, Festival Hospitality Manager, Event Management, Event Planner, Regional Promo rep for major and indie labels, Artist Manager, Independent Promoter, and National Promo Executive for a Nashville label… and I’m probably forgetting something. I’ve been on many sides. Decades of living out of suitcases, in vans and tour buses, hotels and planes, alongside musicians and crews, has given me a firsthand understanding of the challenges to a healthy balance that life on the road presents. I’ve witnessed too many careers and lives cut short by preventable burn-out and damage, or lifestyle-related disease. 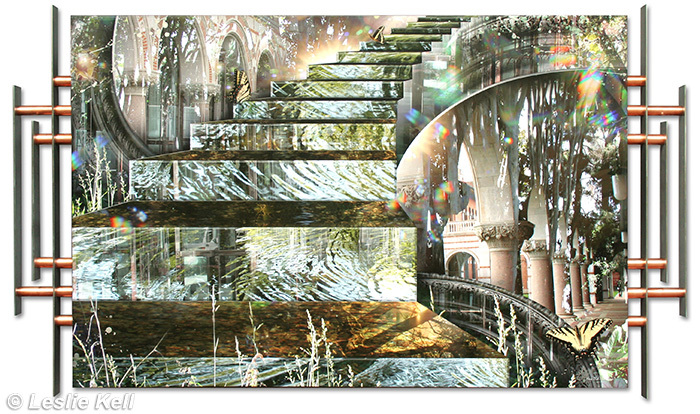 Throughout, I continued to study nutrition, herbal medicine, yoga, meditation, etc. Very often, I met the tour bus with a bag full of food, herbs and supplements, instructing an ailing band or crew member to consume in order to feel better before show time. The role of caregiver has always felt natural to me. I’m sure every one of us has wondered what we’d do if we had to choose a new career path. We are a passionate breed, and nothing short of a passion-driven life will do. When I made the decision to leave the label world, and later to stop doing promotion altogether, I hadn’t a clue what lie ahead, and it was a scary fork in this road less traveled. I knew only that I and my family needed me to be home for awhile, and that meant doing something else. I knew this in my core, but it looked pretty insane on paper! The answer came in the form of an Herbal Medicine apprenticeship. (You know that feeling you get deep in the pit of your stomach and in your bones when you know you’ve just received a Divine communication? Yeah…it was THAT). I’ve been blessed since to receive continued training and mentorship from some of our most notable herbal practitioners and scholars. Greater control and flexibility of my schedule also allowed me to go back and realize a long-term goal of completing that Nutrition training from way back when, only this time with the focus on Functional Holistic Nutrition. 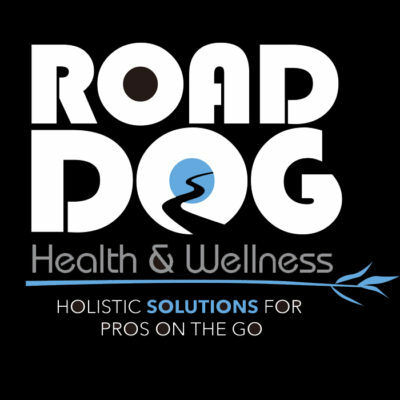 Still, I missed my road tribe terribly… and then I realized I was in a unique position to continue to serve our community with a renewed purpose, and the idea for Road Dog Health & Wellness was born. My mission is to support the physical, mental and emotional whole-person health of touring entertainment and business professionals, to keep you feeling and performing at your rockstar best for many years to come. I educate and empower you to address chronic issues that stand in your way, as well as how to build immunity to avoid road-sickness and do self-care in the event an ailment arises. My goal is to keep you working, doing what you love, for as long as you want. Whichever part of the biz you’re in, I look forward to helping you, your band mates and crew, your roster, your staff, your family, and other fellow travelers down the road to better health. Art credit: “How Did I Get Here” by Leslie Kell www.lesliekell.com Thank you for creating my logos! This entry was posted in About Road Dog. Bookmark the permalink.